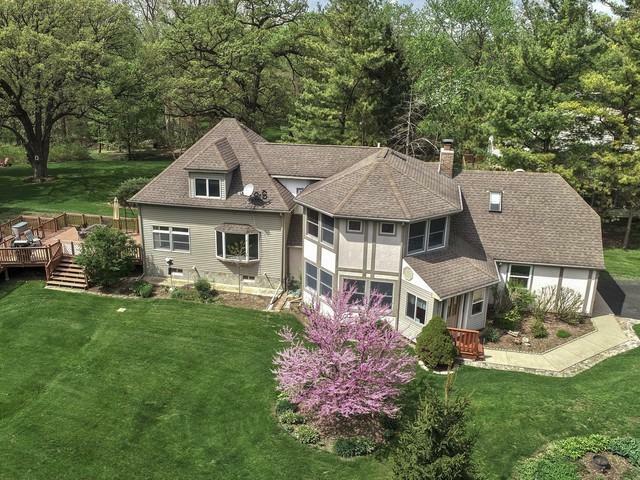 Expanded home on a beautiful, almost 1 acre private lot. So much space & low property taxes. Bring your decorating ideas and make this home your own. Floor plan is unique yet functional. 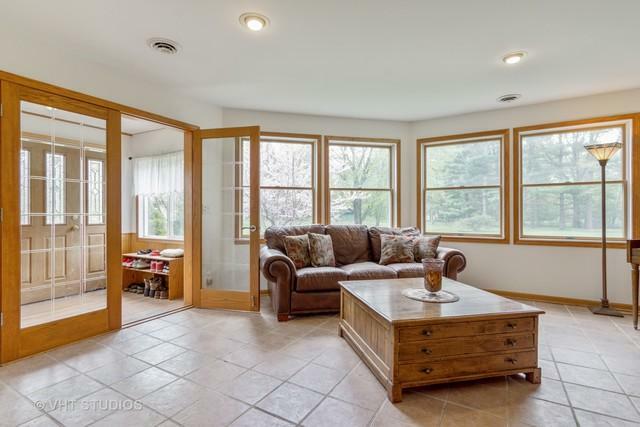 Big Living / Family Rm with heated laminated floors, a cozy fireplace, wet bar, half bath & small nook ideal for office space. Enter sun-drenched Kitchen with granite island, stainless steel appliances, granite c-tops & tile back splash. Dining Rm w/ built-in cabinets. Enormous deck w/ serene nature views. 1st Fl laundry w/ adjacent full bath. Partial & unfinished basement is great for extra storage. Upper level features spacious master suite w/ vaulted ceilings, walk-in closet & full, luxurious bath with shower & soaking tub. 3 more bedrooms & second full bath. 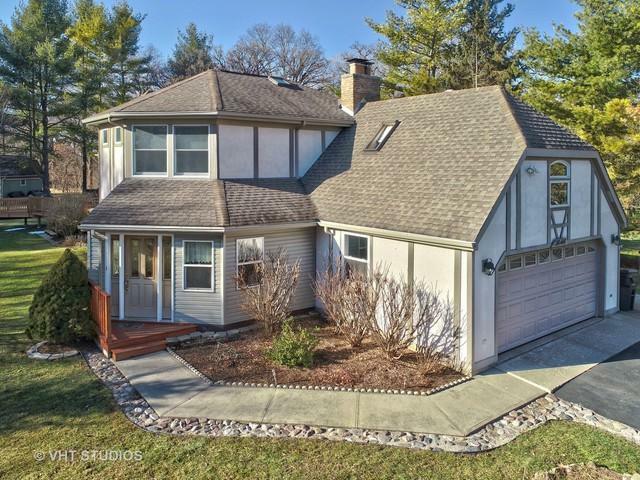 Located in small community, 35 miles NW of Chicago, home is minutes from Metra train station in Fox River Grove or Cary - ideal for commuters. 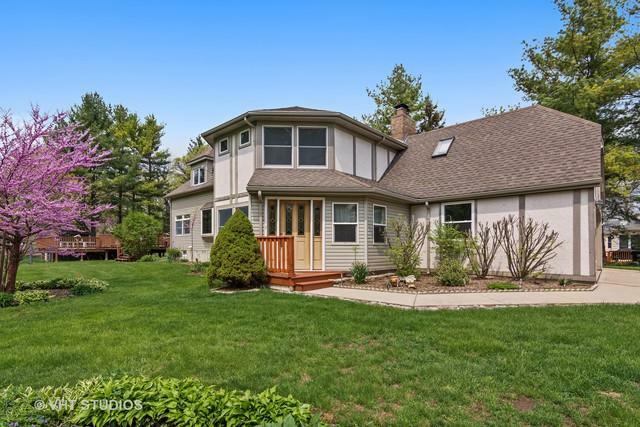 Close to biking, walking trails & boating in Fox River Preserve. Motivated seller!